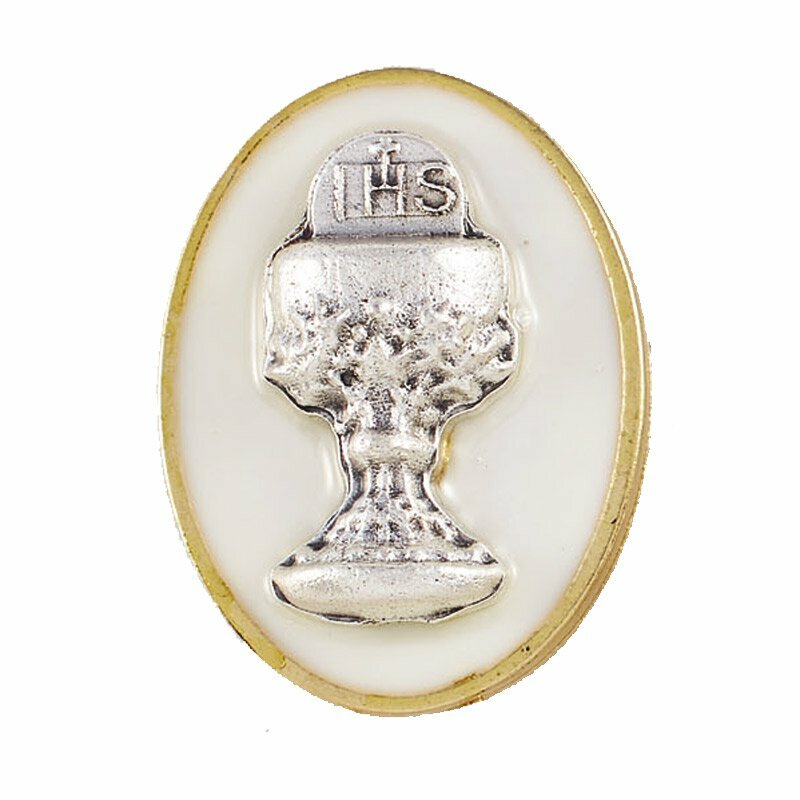 Our First Communion chalice lapel pins are perfectly priced to hand out during your Sacramental celebration. Each pin comes with an ornate chalice design, enamel background and a clutch style back. Pins are also carded for easy handling. Also available in Black (item# YT207).